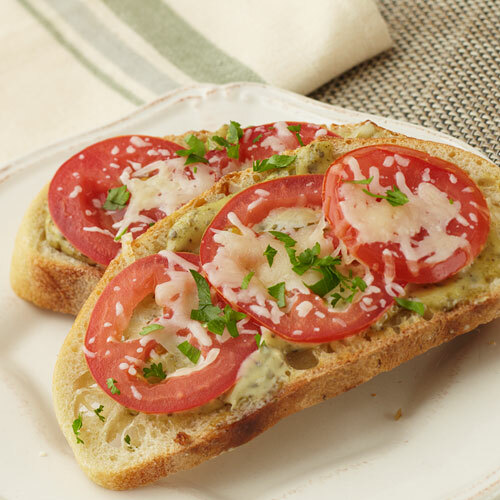 Spread Basil Pesto Aioli over each piece of crusty bread. Top with tomatoes and sprinkle with mozzarella cheese. Season with pepper. Place bread on a baking sheet and heat under a broiler until the cheese has melted.